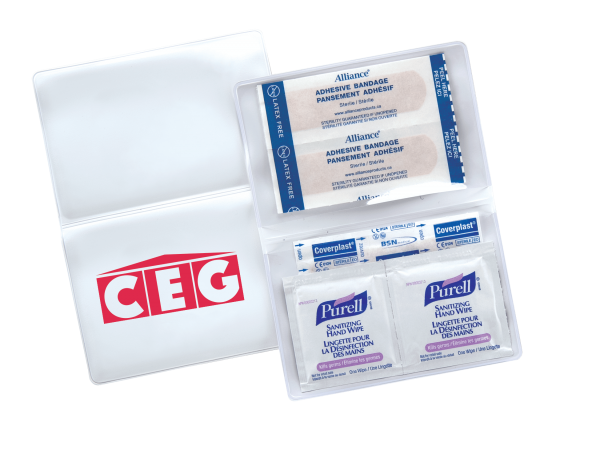 Take care of minor injuries in a flash with this compact first aid kit. Perfect for travel agencies, schools, or health care facilities! Includes one stock colour imprint on our white pouch. First Aid Pouch contains: 10 Elastoplast plastic strips 2 Elastoplast 2” x 3” patches 2 Sanitizing wipes.